In this article , i am going to present the cloning procedure on E-business suite R12.2.3 environment. 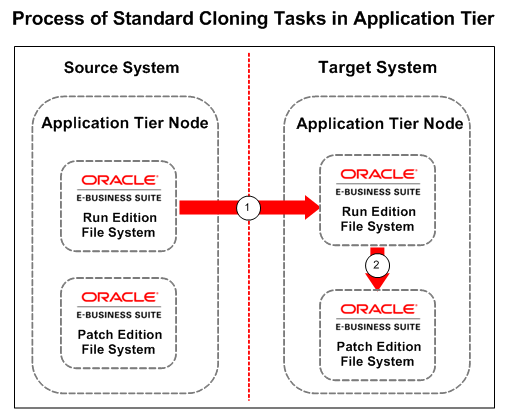 The main procedure to clone an e-business suite environment in R12.2.3 is same except to clone the patch file system in target clone environment. I collected session log and am presenting it for reference to see the prompts while cloning. 2. Copy the Application Tier file system from the Source "Run Edition File System" to the Target "Run Edition File System"
As we have dual file system in R12.2, we need to first clone run file system from source to target. Then patch file system on target environment is created from the run file system cloned from the source environment. The diagramatic representation is given below. This picture is taken from Oracle E-business suite documentation. There are various procedures to clone database from source to target. You can use hotbackup of the source database , you can also use RMAN duplication from active database option. But in this article, i am using simple and easy method of cold backup to copy the source database to target database. C.2 Copy the Application Tier file system from the Source "Run Edition File System" to the Target "Run Edition File System"
nodes as the APPLMGR user. RC-50220: Warning: Database Port: 1521 is not free. Unable to preserve the port settings from source system. RC-50221: Warning: Port Pool 0 is not free. Please check logfile /u01/install/11.2.0/appsutil/clone/bin/CloneContext_0210070912.log for conflicts. Check Clone Context logfile /u01/install/11.2.0/appsutil/clone/bin/CloneContext_0210070912.log for details. One or more listeners are currently running in your Target ORACLE_HOME. Please make sure there are no processes running before proceeding. Listener CLONE has already been started. Service "CLONE" has 2 instance(s). Service "ebs_patch" has 1 instance(s). RC-40201: Unable to connect to Database CLONE. Check Clone Context logfile /u01/install/fs1/EBSapps/comn/clone/bin/CloneContext_0210074038.log for details. adstrtal.sh: Database connection could not be established. Either the database is down or the APPS credentials supplied are wrong. It did not start the services, though i gave option to start services. So i started services manually using the following command. Check Clone Context logfile /u01/install/fs2/EBSapps/comn/clone/bin/CloneContext_0210231637.log for details. E. Finishing Tasks : Complete all the following tasks after successfully completing all the above cloning tasks. NOTE : If your source system is integrated with OID, you will have references to OID in your target cloned environment. To remove all the references to OID in the newly cloned environment, execute the following command. Then restatrt all the target cloned apps services. 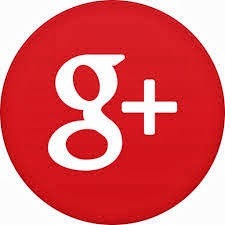 You are removing all SSO-OID related preferences. Beginning input parameter validation for Removing Preferences. Input parameter validation for Removing Preferences completed. Updated APPS_SSO profile with value SSWA successfully. Removing OID References Completed Successfully. Custom DIT Preferences Removed Successfully.